This is to inform students of University of Ibadan that the management of the university has published the Academic Calendar for the 2017/2018 Academic Session. The Management of Adekunle Ajasin University, Akungba Akoko, Ondo State, has announced a further reduction in the fees payable by all categories of students in the Institution. In a statement signed by the Registrar, Mr Sunday Ayeerun, the downward review was a sequel to the intervention of the state Governor, Arakunrin Oluwarotimi Akeredolu, SAN, following pleas from various quarters and stakeholders including students, parents, alumni, guardians and unions. The new fees regime shows that fresh students in the Faculties of Arts and Education would now pay the sum of N100, 000 per session or N50, 000 per semester, rather than the initial sum of N150, 000 per session they were to pay. 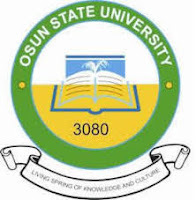 Fresh students in the Faculties of Agriculture, Law, Science, and Social and Management Sciences are now expected to pay a reduced N150, 000 per session or N75, 000 per semester. Returning students in the Faculties of Arts and Education would now pay N80, 000 per session or N40, 000 per semester while returning students in the Faculties of Agriculture, Law, Science, and Social and Management Sciences are now required to pay N100, 000 per session or N50, 000 per semester. 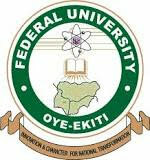 The statement added that all final year students would pay a uniform fee of N70, 000 per session or N35, 000 per semester. The Registrar further urged all fresh and returning students to pay their school fees and resume as earlier scheduled. 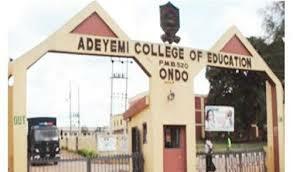 Candidates that applied for the Adeyemi College of Education, Ondo, 2017/2018 Degree programmes can now check their admission status online. 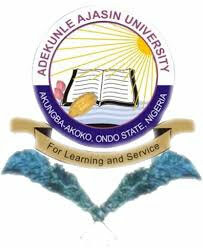 ADEYEMI COLLEGE OF EDUCATION DEGREE ADMISSION LIST. Follow the link below to confirm your Adeyemi College of Education, Ondo, 2017/2018 Part-Time Degree. 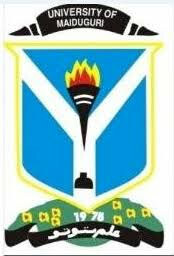 The management of the University of Ibadan has released the amount payable as school fees by the newly admitted candidates for the 2017/2018 academic session. The management of University of Port-Harcourt (UNIPORT) has released the first-semester exam time-table for the 2017/2018 academic session. Find attached the timetable for the first semester 2017/2018 lectures which begins on Monday 3rd of April, 2018 to May 4th, 2018. 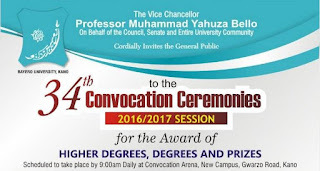 The Vice Chancellor of Bayero University Kano, Professor Muhammad, Yahuza Bello on behalf of the council, Senate and entire University community cordially invites the general public to the 34th convocation ceremony. 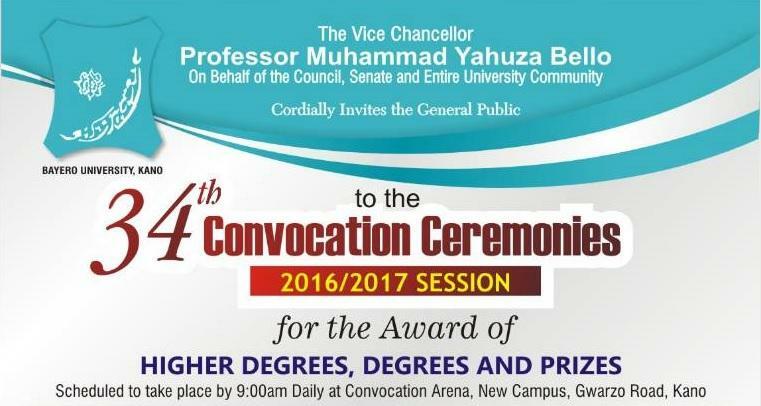 BUK 34th convocation ceremony has been scheduled to hold from 3rd April – 7th April 2018. Venue: Convocation Arena, New Campus Gwarzo Road, Kano. The management of the University of Maiduguri (UNIMAID) has released the names of graduates uploaded on the National Youth Service Corps (NYSC) portal for 2018 Batch ‘A’ NYSC programme. The following Graduates of University of Maiduguri (UNIMAID) have been successfully uploaded to the integrated database of the National Youth Service Corps for 2018 Batch ‘A’ NYSC programme. At the confirmation of your name, you are to wait until the approved date for commencement of Online Registration. The Senate of the University of Ibadan at its meeting held on Monday, 19 March 2018 and Tuesday, 20 March 2018, considered the results of the Final Year and Non-Final Year Results for the 2016/2017 Session, respectively. We are delighted that the performance of our students was generally good. In particular, a total of 142 of our Final Year students earned a First Class Honours degree. The Faculties of Science and Technology tied in the overall best position with 37 students in each of the Faculties finishing with First Class. Twenty-one of our students in the Faculty of Law earned First Class; this is the best ever result by the Faculty since its establishment 38 years ago. The number of first class from other Faculties include Arts (16), Agriculture (8), The Social Sciences (8), Education (7) Renewable Natural Resources (4), Public Health (2), Basic Medical Sciences (1), and Clinical Sciences (1). Similarly, in the unclassified degree programmes, a number of students had a distinction in various courses. These include 13 students in Bachelor of Physiotherapy, 13 in Doctor of Veterinary Medicine and 18 with Bachelor of Pharmacy. 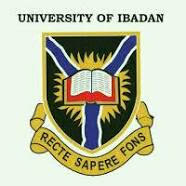 It is worth mentioning here that the graduating students of the 2016/2017 Class were admitted into the University of Ibadan between 2011/2012 and 2013/2014 academic sessions, depending on the specific course of study, through a very rigorous and highly competitive Post-UTME. 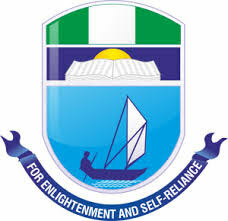 Empirical and verifiable data available at the University of Ibadan have shown convincingly that there has been a considerable improvement in the quality of students admitted into the University since the Post-UTME template was introduced during the 2005/2006 admission exercise. The withdrawal rate at the end of the 100 level at the University of Ibadan had dropped from an all-time high of 12% before the introduction of Post-UTME to less than 2% (i.e. Success Rate of 98%) during the 2015/2016 session. Unfortunately, there was no Post-UTME for the candidates admitted during the 2016/2017 session. This has been largely responsible for the comparatively poor performance of our students admitted during the last session as shown in Fig 1. The total number of students in the cohort was 2,998. 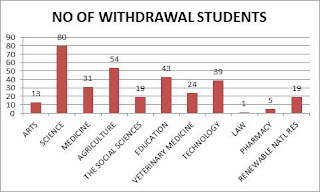 It can be observed that students in the science-based disciplines, in particular, did not perform too well, with the pass rate being lowest at 67.5% at the Faculty of Veterinary Medicine. On the other hand, the Humanities-based discipline posted better results, with the best coming from the Faculty of Law at 99.2%. 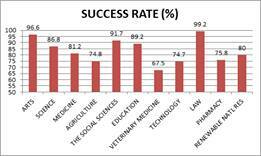 For the entire University, the overall success rate averaged 85%. As can be seen from Fig 2, some 328 students, representing 10.9% of the total, have been advised to withdraw from the University for their inability to meet the minimum condition approved by Senate. In other words, one out of every nine of the 100 Level students did not meet the minimum condition to retain their studentship. Moreover, another set, comprising 115 students, was unable to meet Faculty requirements and have been advised appropriately to apply for a change of course. With the restoration of Post-UTME for the new intakes, we are optimistic for improved performance for the new students due to enrol at the beginning of the 2017/2018 session. Moreover, the Senate has taken a number of strategic decisions aimed at continuous improvement of the standard of training and learning at the University of Ibadan. Implementation will commence with immediate effect. All students are encouraged to apply for and collect their academic transcripts as soon as possible. While congratulating those who performed excellently in their examinations, we send best wishes to the others. Fig 1 Success Rate of 100 Level Students at the University of Ibadan at the End of the 2016/2017 Session. Fig 2 Number of 100 Level Students requested to Withdraw from the University of Ibadan at the End of the 2016/2017 Session on the basis of Poor Academic Performance. The 2017/2018 WAEC TIME TABLE May/June Senior School Certificate Examination (SSCE) of the West African Examination Council (WAEC) has been slated to commence on 27th March 2018 and ends on 15th May 2018. Updated: Yoruba, Commerce, Civic Education has been added. The West African Examinations Council (WAEC) Timetable for the May/June SSCE examinations, 2018/2019 has been released!. As stated below, When will WAEC 2018/2019 starting? As stated above, WAEC 2018 will start on the 27th March and ends on 15th May 2018. Stenography 3(Shorthand & Word Processing)** – 09:30 a.m. – 11:08 a.m.
Furniture Making 2 (Essay)** – 09:30 a.m. – 11:30 a.m.
Furniture Making 1 (Objective)** – 11:30 a.m. – 12:15 p.m. Automobile Parts Merchandising 2 (Essay)** – 09:30 a.m. – 11:30 a.m.
Data Processing 2 (Essay)** – 09:30 a.m. – 11:30 a.m.
Data Processing 1 (Objective)** – 11:30 a.m. – 12:30 p.m.
Stenography 2(Essay)** – 09:30 a.m. – 10:10 a.m.
Stenography 1(Objective)** – 10:10 a.m. – 10:50 a.m.
Auto Electrical Works 2 (Essay)** – 2:00 p.m. – 3:00 p.m.
Auto Electrical Works 1 (Objective)** – 3:00 p.m. – 3:45 p.m.
Air-conditioning and Refrigeration 2 (Essay)** – 2:00 p.m. – 3:30 p.m.
Air-conditioning and Refrigeration 1 (Objective)** – 3:30 p.m. – 4:30 p.m.
Auto Body Repairs and Spray Painting 2 (Essay)** – 2:00 p.m. – 3:30 p.m.
Auto Body Repairs and Spray Painting 1 (Objective)** – 3:30 p.m. – 4:30 p.m. Visual Art 2 (Essay) – 3:00 p.m. – 5:00 p.m. Visual Art 1 (Objective) – 5:00 p.m. – 5:50 p.m.
Chemistry 3( Alternative D) (Alternative to Practical Work) **** – 09:30 a.m. – 11:00 a.m.
Music 2 (Essay) – 09:30 a.m. – 11:30 a.m.
Music 1 (Objective) – 11:30 a.m. – 12:30 p.m.
Auto Mechanics 2 (Essay) – 2:00 p.m. – 3:30 p.m.
Auto Mechanics 1 (Objective) – 3:30 p.m. – 4:30 p.m.
Physics 3 Alternative D (Alternative to Practical Work)**** – 09:30 a.m. – 12:15 p.m.
History 2 (Essay) – 2:00 p.m. – 4:00 p.m.
Literature-In-English 2 (Prose) – 09:30 a.m. – 10:45 a.m.
Literature-In-English 1 (Objective) – 10:45 a.m. – 11:45 a.m.
Foods and Nutrition 2 (Essay) – 2:00 p.m. – 3:15 p.m.
Foods and Nutrition 1 (Objective) – 3:15 p.m. – 4:15 p.m.
Engineering Science 2 (Essay)*** – 2:00 p.m. – 3:45 p.m.
Engineering Science 1 (Objective)*** – 3:45 p.m. – 4:30 p.m.
Picture Making 2 (Essay)* – 2:00 p.m. – 4:00 p.m.
Picture Making 1 (Objective)* – 4:00 p.m. – 4:50 p.m.
Shorthand – 09:30 a.m. – 10:45 a.m.
Geography 2 (Essay) – 09:30 a.m. – 11:30 a.m.
Geography 1(Objective) – 11:30 a.m. – 12:30 p.m.
Health Science 2 (Essay) – 2:00 p.m. – 3:30 p.m.
Health Science 1 (Objective) – 3:30 p.m. – 4:30 p.m.
Health Education 2 (Essay) ** – 2:00 p.m. – 3:30 p.m.
Health Education 1 (Objective) ** – 3:30 p.m. – 4:30 p.m.
Further Mathematics/Mathematics (Elective) 1 (Objective) 1hr 30mins 2:00 p.m. – 3:30 p.m.
Ceramics 2 (Essay)* – 2:00 p.m. – 4:00 p.m.
Ceramics 1 (Objective)* – 4:00 p.m. – 4:50 p.m.
Forestry 2 (Essay)* – 2:00 p.m. – 4:00 p.m.
Forestry 1 (Objective)* – 4:00 p.m. – 5:00 p.m.
Civic Education 2 (Essay)** – 09:30 a.m. – 11:30 a.m.
Management-In-Living 2 (Essay)*/*** – 09:30 a.m. – 11:30 a.m.
Management-In-Living 1 (Objective)*/*** – 11:30 a.m. – 12:30 p.m.
Building Construction 2 (Essay) – 2:00 p.m. – 3:00 p.m.
Building Construction 1 (Objective) – 3:00 p.m. – 3:45 p.m.
Information and Communication Technology (Elective) 2 (Essay)* – 2:00 p.m. – 4:00 p.m.
Information and Communication Technology (Elective) 1 (Objective)* – 4:00 p.m. – 5:00 p.m.
English Language 2(Essay) – 09:30 a.m. – 11:30 a.m.
English Language 3 (Test of Orals)** /**** – 3:00 p.m. – 3:45 p.m.
Hausa 2 (Essay)** – 09:30 a.m. – 11:30 a.m.
Igbo 2 (Essay)** – 09:30 a.m. – 11:30 a.m.
Yoruba 2 (Essay)** – 09:30 a.m. – 11:30 a.m.
Edo 2 (Essay)** – 09:30 a.m. – 11:30 a.m.
Edo 1 (Objective)** – 11:30 a.m. – 12:30 p.m.
Efik 2 (Essay)** – 09:30 a.m. – 11:30 a.m.
Efik 1 (Objective)** – 11:30 a.m. – 12:30 p.m.
Ibibio 2 (Essay)** – 09:30 a.m. – 11:30 a.m.
Ibibio 1 (Objective)** – 11:30 a.m. – 12:30 p.m. Clerical Office Duties 1 (Objective) – 11:40 a.m. – 12:30 p.m. Biology 3(Alternative B) (Alternative to Practical Work) **** – 09:30 a.m. – 11:30 a.m.
Literature-In-English 3(Drama & Poetry) – 2:00 p.m. – 4:30 p.m.
Economics 2 (Essay) – 09:30 a.m. – 11:30 a.m.
Economics 1 (Objective) – 11:30 a.m. – 12:30 p.m.
General Mathematics/Mathematics (Core) 2 (Essay) – 09:30 a.m. – 12:00 noon. General Mathematics/Mathematics (Core) 1 (Objective) – 3:00 p.m. – 4:30 p.m.
Dagaare (Elective) 1 (Essay)* – 09:30 a.m. – 12:30 p.m.
General Knowledge in Art 3B (Lettering and Design)* – 09:30 a.m. – 12:30 p.m. Biology 2 (Essay) – 2:00 p.m. – 3:40 p.m. Biology 1 (Objective) – 3:40 p.m. – 4:30 p.m.
Christian Religious Studies 2 (Essay) – 09:30 a.m. – 11:30 a.m.
Christian Religious Studies 1 (Objective) – 11:30 a.m. – 12:30 p.m.
Islamic Studies 2 (Essay) – 09:30 a.m. – 11:30 a.m.
Islamic Studies 1 (Objective) – 11:30 a.m. – 12:20 p.m.
West African Traditional Religion 2 (Essay)* – 09:30 a.m. – 11:40 a.m.
West African Traditional Religion 1 (Objective)* – 11:40 a.m. – 12:30 p.m.
Government 2 (Essay) – 09:30 a.m. – 11:30 a.m.
Government 1 (Objective) – 11:30 a.m. – 12:30 p.m.
Machine Woodworking 2 (Essay)** – 09:30 a.m. – 10:30 a.m.
Sculpture 2 (Essay)* – 09:30 a.m. – 11:30 a.m.
Sculpture 1 (Objective)* – 11:30 a.m. – 12:20 p.m.
Management-In-Living 3 (Test of Practical Work) */*** 1hr 09:30 a.m. – 10:30 a.m.
Carpentry and Joinery 2 (Essay)** – 09:30 a.m. – 11:00 a.m.
Carpentry and Joinery 1 (Objective)** – 11:00 a.m. – 11:45 a.m. Crop Husbandry and Horticulture 2 (Essay)* – 09:30 a.m. – 11:30 a.m. Crop Husbandry and Horticulture 1 (Objective)* – 11:30 a.m. – 12:30 p.m.
General Knowledge in Art 2 (Essay)* – 2:00 p.m. – 3:30 p.m.
General Knowledge in Art 1 (Objective)* – 3:30 p.m. – 4:20 p.m.
Commerce 2 (Essay) – 2:00 p.m. – 4:00 p.m.
Commerce 1 (Objective) – 4:00 p.m. – 4:50 p.m.
Jewellery 2 (Essay)* – 09:30 a.m. – 11:30 a.m.
Jewellery 1 (Objective)* – 11:30 a.m. – 12:20 p.m.
Painting and Decorating 2 (Essay)** – 09:30 a.m. – 11:30 a.m.
Painting and Decorating 1 (Objective)** – 11:30 a.m. – 12:30 p.m.
Garment Making 2 (Essay)** – 2:00 p.m. – 2:40 p.m.
Garment Making 1 (Objective)** – 2:40 p.m. – 3:25 p.m.
Garment Making 3(Alternative to Practical Work)** – 4:00 p.m. – 4:45 p.m.
Technical Drawing 3 (Sketches, Building and Mechanical Drawing) – 2:00 p.m. – 4:45 p.m.
General Knowledge in Art 3A (Drawing and Painting)* – 09:30 a.m. – 12:30 p.m. Basic Electricity 2 (Essay) ** – 3:00 p.m. – 4:00 p.m. Basic Electricity 1 (Objective) ** – 4:00 p.m. – 5:00 p.m.
Block Laying, Bricklaying and Concrete Works 2 (Essay)** – 09:30 a.m. – 10:30 a.m.
Block Laying, Bricklaying and Concrete Works 1 (Objective)** – 10:30 a.m. – 11:15 a.m.
Tourism 2 (Essay)** – 09:30 a.m. – 11:20 a.m.
Mining 2 (Essay)** – 09:30 a.m. – 11:35 a.m. Bookkeeping 2 (Essay)** – 09:30 a.m. – 11:30 a.m.
Store Keeping 2 (Essay)** – 09:30 a.m. – 11:30 a.m.
Upholstery 2 (Essay)** – 2:00 p.m. – 3:00 p.m.
Upholstery 1 (Objective)** – 3:00 p.m. – 4:00 p.m. Agricultural Science 2 (Essay) – 09:30 a.m. – 11:40 a.m. Agricultural Science 1 (Objective) – 11:40 a.m. – 12:30 p.m.
General Agriculture 2 (Essay)* – 09:30 a.m. – 11:30 a.m.
General Agriculture 1 (Objective)* – 11:30 a.m. – 12:30 p.m. Textiles 2 (Essay)* – 09:30 a.m. – 11:30 a.m. Textiles 1 (Objective)* – 11:30 a.m. – 12:20 p.m.
Technical Drawing 2 (Essay) – 2:00 p.m. – 3:45 p.m.
Technical Drawing 1 (Objective) – 3:45 p.m. – 4:45 p.m.
Principles of Cost Accounting 2 (Essay) – 09:30 a.m. – 11:30 a.m.
Principles of Cost Accounting 1 (Objective) – 11:30 a.m. – 12:30 p.m.
Cosmetology 2 (Essay)** – 09:30 a.m. – 10:50 a.m.
Cosmetology 1 (Objective)** – 10:50 a.m. – 11:30 a.m.
Dyeing and Bleaching 2 (Essay)** – 09:30 a.m. – 11:10 a.m.
Dyeing and Bleaching 1 (Objective)** – 11:10 a.m. – 11:55 a.m.
Leather Goods Manufacturing and Repairs 2 (Essay)** – 09:30 a.m. – 11:30 a.m.
Leather Goods Manufacturing and Repairs 1 (Objective)** – 11:30 a.m. – 12:30 p.m.
Cosmetology 3 (Alternative to Practical Work)** – 2:00 p.m. – 3:00 p.m.
GSM Phone Maintenance and Repair 2 (Essay)** – 2:00 p.m. – 3:45 p.m.
GSM Phone Maintenance and Repair 1 (Objective)** – 3:45 p.m. – 4:30 p.m. Animal Husbandry ( Alternative B) 2 (Essay)** – 2:00 p.m. – 4:00 p.m. Animal Husbandry (Alternative B) 1 (Objective)** – 4:00 p.m. – 4:40 p.m.
Store Management 2 (Essay)** – 2:00 p.m. – 4:00 p.m.
Store Management 1 (Objective)** – 4:00 p.m. – 5:00 p.m.
Electrical Installation and Maintenance Work 2 (Essay)** – 2:00 p.m. – 4:15 p.m.
Electrical Installation and Maintenance Work 1 (Objective)** – 4:15 p.m. – 5:00 p.m. Photography 2 (Essay)** – 2:00 p.m. – 4:00 p.m. Photography 1 (Objective)** – 4:00 p.m. – 5:00 p.m.
Arabic 2 (Essay) – 2:00 p.m. – 4:00 p.m.
Social Studies 2 (Essay)* 3hrs 09:30 a.m. – 12:30 p.m.
Social Studies 1 (Objective)* – 2:00 p.m. – 2.50 p.m. Visual Art 3B (Creative Design) 3hrs 2:00 p.m. – 5:00 p.m. Physical Education 2 (Essay) – 09:30 a.m. – 10:50 a.m. Physical Education 1 (Objective) – 10:50 a.m. – 11:40 a.m.
Leatherwork 2 (Essay)* – 09:30 a.m. – 11:30 a.m.
Leatherwork 1 (Objective)* – 11:30 a.m. – 12:20 p.m.
Music 3A (Aural) – 1:00 p.m. – 1:45 p.m.
Foods and Nutrition 3 (Practical) Planning Session – 2:00 p.m. – 3:00 p.m.
Home Management 3 (Practical ) Planning Session – 3:00 p.m. – 4:00 p.m.
Graphic Design 2 (Essay)* – 2:00 p.m. – 4:00 p.m.
Graphic Design 1 (Objective)* – 4:00 p.m. – 4:50 p.m. Animal Husbandry (Alternative A) 2 (Essay)* – 09:30 a.m. – 11:30 a.m. Animal Husbandry (Alternative A) 1(Objective)* – 11:30 a.m. – 12:30 p.m.
Insurance 2 (Essay)** – 09:30 a.m. – 11:30 a.m. Photography 3 (Alternative to Practical Work)** – 09:30 a.m. – 12:30 p.m. Integrated Science 2 (Essay)* – 09:30 a.m. – 11:00 a.m. Catering Craft Practice 2 (Essay)** – 09:30 a.m. – 10:20 a.m.
Radio, Television and Electronic Works 2 (Essay)** – 09:30 a.m. – 10:30 a.m.
Radio, Television and Electronic Works 1 (Objective)** – 10:30 a.m. – 11:15 a.m. Plumbing and Pipe Fitting 2 (Essay)** – 09:30 a.m. – 10:30 a.m. Plumbing and Pipe Fitting 1 (Objective)** – 10:30 a.m. – 11:30 a.m.
Printing Craft Practice 2 (Essay)** – 09:30 a.m. – 11:00 a.m.
Printing Craft Practice 1 (Objective)** – 11:00 a.m. – 11:45 a.m.
Science (Core) 2 (Essay)*** – 09:30 a.m. – 11:00 a.m.
Science (Core) 3 (Alternative to Practical Work)*** – 1:00 p.m. – 3:00 p.m. Integrated Science 3 (Alternative to Practical Work)* – 2:00 p.m. – 4:00 p.m.
Welding and Fabrication Engineering Craft Practice 2 (Essay)** – 09:30 a.m. – 11:00 a.m.
Marketing 2 (Essay)** – 09:30 a.m. – 11:30 a.m.
Salesmanship 2 (Essay)** – 09:30 a.m. – 11:30 a.m.
Auto Mechanical Work 2 (Essay)** – 09:30 a.m. – 11:45 a.m.
Auto Mechanical Work 1 (Objective)** – 11:45 a.m. – 12:30 p.m. Catering Craft Practice 3 (Alternative to Practical Work)** – 12:00 noon – 12:40 p.m.
Basketry 2 ( (Essay)* – 09:30 a.m. – 11:30 a.m.
Basketry 1 (Objective)* – 11:30 a.m. – 12:20 p.m. Basic Electronics 2 (Essay) ** – 2:00 p.m. – 3:00 p.m. Basic Electronics 1 (Objective) ** – 3:00 p.m. – 4:00 p.m. Fisheries (Alternative A) 2 (Essay) * – 2:00 p.m. – 4:00 p.m. Fisheries (Alternative A) 1 (Objective)* – 4:00 p.m. – 5:00 p.m.
Home Management 2 (Essay) – 2:00 p.m. – 3:00 p.m.
Home Management 1 (Objective) – 3:00 p.m. – 4:00 p.m.
Monday, 14th May, 2018 to Wednesday, 6th June, 2018. Health Science 3 (Alternative to Practical Work) – 3:00 p.m. – 4:45 p.m.
Health Education 3 (Alternative to Practical Work) ** – 3:00 p.m. – 4:45 p.m.
End of WAEC 2018 Timetable. * Available to candidates in Ghana only. ** Available to candidates in Nigeria only. *** Available to candidates in The Gambia and Sierra Leone only. **** Available to candidates in Liberia only. 1. Difference in Time on Question Paper and Timetable Where the duration indicated on the question paper differs from that on the timetable, the one on the question paper should be followed. 2. Question Papers to be Given Out in Advance of the Dates They Are to be Taken (1) General Knowledge-In-Art Paper 3 The question paper for General Knowledge-In-Art 3 will be given to candidates two weeks before the paper is due to be taken. (2) Project Work Papers The question papers for project work for Basketry, Graphic Design, Leatherwork, Ceramics, Sculpture, Picture Making, Textiles and Jewellery will be forwarded to candidates two weeks in advance of the examination. The exact date for the delivery of question papers to candidates will be communicated to them through their schools. 3. Extra Time for Blind, Deaf and Dumb Candidates Blind, deaf and dumb candidates should be allowed one and half times the time allotted to other candidates.